“We are leaving behind the glowing rectangular screens, and stepping into computational space where the world is our desktop,” says Monika Bielskyte. An augmented/mixed/virtual reality (AR/MR/VR) expert, Monika imagines and designs alternative futures at her company, ALLFUTUREEVERYTHING. In mind-bending talks, Monika leads audiences on a journey through what could be. 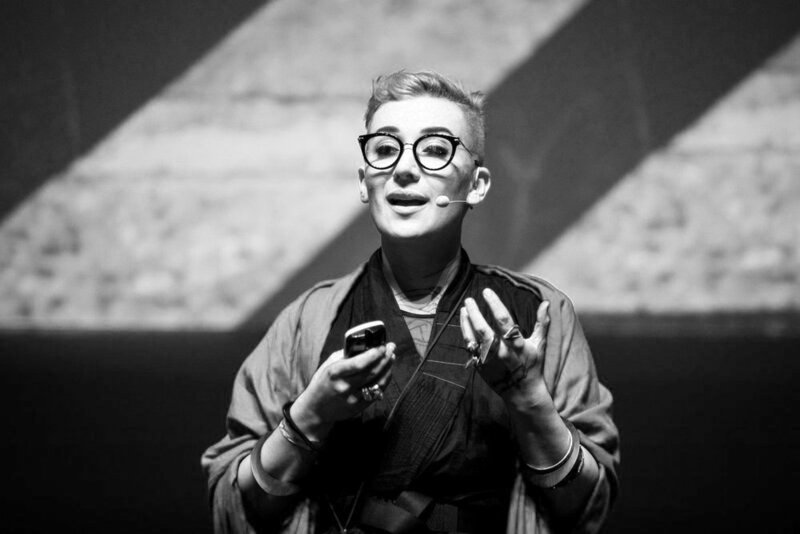 She takes the most cutting-edge digital concepts and places them squarely in our material world, opening our eyes to a future where we live with, in, and around technology much more deeply than we do today. 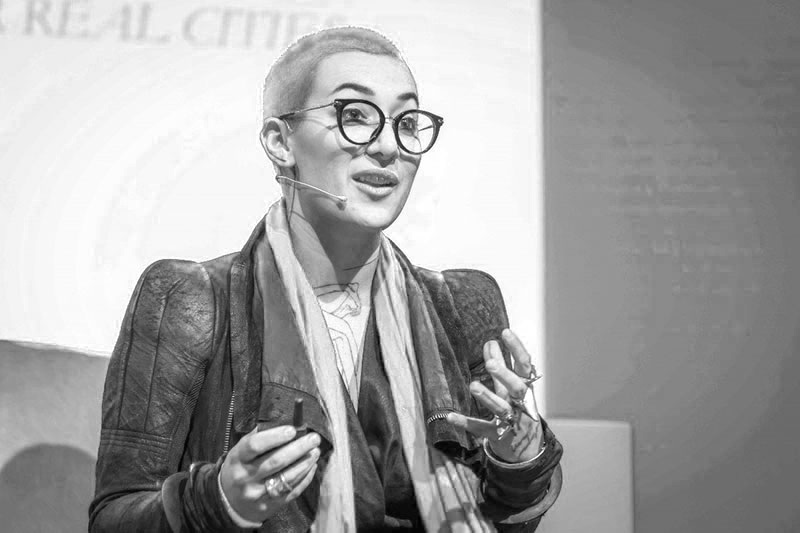 As the co-founder of ALLFUTUREEVERYTHING, Monika Bielskyte’s focus is on immersive media technologies and digital formats of reality: AR/MR/VR. She is an instrumental force for integrating immersive media technologies and AR/MR/VR into global business plans and large-scale projects. Her ongoing consulting work bridges technology and creativity on projects that span entertainment (Ridley Scott Associates, GHOST IN THE SHELL/DreamWorks, Alex McDowell, Sam Esmail/Universal), technology (CERN, Intel, Telefonica), design (Rick Owens, Aston Martin) and more. Augmented, mixed, and virtual reality (AR/MR/VR) are not just buzzwords: they’re technologies that are on the precipice of transforming our world. Understanding them—and seeing beyond their potential—is key to envisioning what our future will look like. In this talk, Monika Bielskyte presents AR/MR/VR not as gadgets, but as tools that will craft a new narrative for humanity. She reveals why we must shift from creating content to creating space. She shares her perspective on the future of communication and the future of entertainment. She explains why access will become more important than ownership, and why experiences will become the most valuable currency in our lives. But most importantly: Monika contextualizes these developments for your business. And, she leaves your audience with the vision and clarity they need to plan for our new digital future. “What we need is not more technology-driven experiences, but experience-driven technology,” she says. Sit back and let Monika introduce your audience to concepts so cutting-edge they don’t even exist yet—except in the magnificently strange and visionary mind of Monika Bielskyte. Contact us to learn how Monika can craft a message for your audience.